While there are a multitude of publications on corporate finance and financial management, only a few address the complexity of air transport industry finance and scant attention has been given to airport financial management. This book deals exclusively with airport issues to rectify this. It does this with an analysis of the theoretical concepts relevant to the subject area combined with a detailed investigation of current practice within the industry. 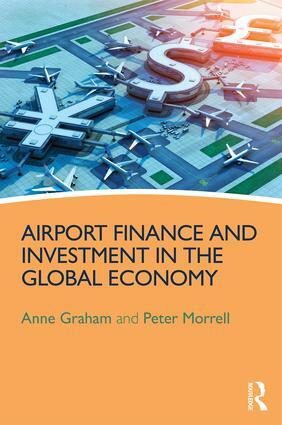 Airport Finance and Investment in the Global Economy bridges the gap between much academic research on airports published in recent years – lacking much managerial relevance – and real-world airport financial management. This is achieved by featuring expert analysis of contemporary issues specific to airport finance and funding strategies, illustrated by worked examples from a wide range of different countries to enhance understanding and create a global perspective. The book is designed to appeal to both practitioners and academics. Airport-specific topics include: performance measurement and benchmarking, valuation, tools for financial control and management, alternatives of financing, privatisation, competition and implications of economic regulation. Anne Graham is Reader in Air Transport and Tourism at the University of Westminster. Her research interests include airport management, economics and regulation, and the relationship between the tourism and aviation industries. Her recent books include Managing Airports (4th edition, 2014), Aviation Economics (ed. with Peter Morrell, 2015), Airport Marketing (with Nigel Halpern, 2013) and Aviation and Tourism (ed. with Andreas Papatheodorou and Peter Forsyth, 2008). Between 2013 and 2015 she was Editor-in-Chief of the Journal of Air Transport Management. Peter Morrell joined Cranfield’s Department of Air Transport in 1991 where, until his recent retirement, he held a chair in air transport economics and finance. He has been involved in airport projects around the world, including in Argentina, Mongolia, Hannover, Berlin, Luton and Barcelona. He also directed a number of major studies for the European Commission. His books include Aviation Economics (ed. with Anne Graham, 2015), Airline Finance (4th edition, 2014) and Moving Boxes by Air (2011). He has continuing links with Cranfield as a visiting professor and serves on the editorial boards of the Journal of Air Transport Management and Tourism Economics.